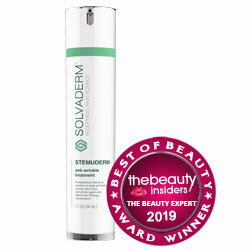 Complete Derma Reviews: Is This The Right Product You Are Looking For? Complete Derma Review: Does This Product Really Vanish Wrinkles? 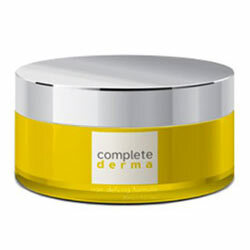 There is no information available anywhere about the manufacturer behind Complete Derma. For best results, Complete Derma must be used as part of your day time and night time skin care regimens. Always apply product on freshly cleansed and toned skin only, making sure to layer it with sunscreen when used during the day to help prevent further UV damage. Claims have been made about this product’s formula consisting only on all-natural ingredients, and does not contain fillers, additives and toxic chemicals. There are product trial reports circulating which, allegedly, show that involved 100 women as subjects who were asked to use the product for 8 weeks, which apparently showed improvements in the appearance of aging skin. Positive Complete Derma reviews are mostly provided via affiliate marketing websites which your should be skeptical about. There is no official product website rather, incomplete, inconsistent and, many times, useless information are offered by third-party websites, mostly affiliate marketing websites, which makes information about this product highly unreliable. The manufacturer information is not available anywhere, making it impossible too establish truthfulness of claims and accountability for potential product impact and side effects. Critical Complete Derma reviews have pointed out how information about this product is severely limited to allow for competent product reviews to be made. In many aspects, information about Complete Derma in incomplete and, where available, the information provided is vague, making a competent review impossible to reach. If you’re looking for a top quality anti-aging cream, one of the top signals that you are purchasing a quality product is a full disclosure of both product and maker information. In this product’s case, both vital information are missing. Trust it or not, remember that you only got one skin so make sure to know exactly what you’re getting your skin.